Alaska Native News Sep 21, 2018. 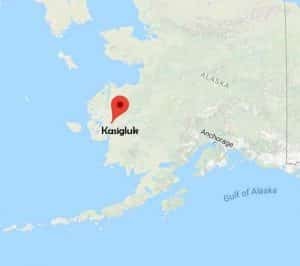 Alaska State Troopers are investigating a serious vandalism at the community of Kasigluk airstrip that occurred between Tuesday night and Wednesday night. It was discovered on Wednesday night that 43 runway lights had been destroyed. The discovery came as a medevac aircraft attempted to land on the runway but was unable to because of the damaged lights. The aircraft was responding to an emergency situation in the village. The lights were operable on the night before according to the report. AST says that the damage exceeded $1,600. The investigation into the act of vandalism is being actively investigated. Troopers ask if anyone has information concerning this incident to please call in to troopers at 907-543-2294.